Pharmaceutical forecasters say sales of blood thinners will grow higher than any other prescription drug class over the next six years, according to a new report. EvaluatePharma, a group that analyzes biotech and pharmaceutical performance, predicts in its June World Preview report that worldwide anti-coagulant drug sales will reach $15.3 billion by 2018, nearly double the sales from 2012. Overall anticoagulant sales were $8 billion last year. The projection equates to a global sales increase of 11.5 percent per year. Comparatively, all prescription drug sales worldwide are expected to increase 3.8 percent each year. While these projections represent the expected success of three new blood thinners – Xarelto, Pradaxa and Eliquis – the newest anticoagulants are also linked to bleeding events that have no antidote and can result in death. “The good news is you now have an alternative to warfarin,” Dr. Alan Jacobson, director of anti-coagulation services at the Department of Veterans Affairs (VA) health care system in Loma Linda, Calif., told Reuters in 2012, referring to Xarelto and Pradaxa. “The bad news is you can kill a patient as easily with the new drug as you could with the old drug” if it is not handled properly. Pharmaceutical companies produced the new blood thinners as alternatives to warfarin (Coumadin, Jantoven), the standard blood thinner that has been used for decades. Warfarin requires regular blood monitoring, while the new group does not. Warfarin has a distinct advantage, however: There is an antidote to control accidental bleeding. The World Preview report shows a record number of new drugs were approved in the United States in 2012. A group of five drugs, including Eliquis, is expected to grow into blockbuster status by 2017. Analysts expect each drug to bring in at least $1 billion a year. 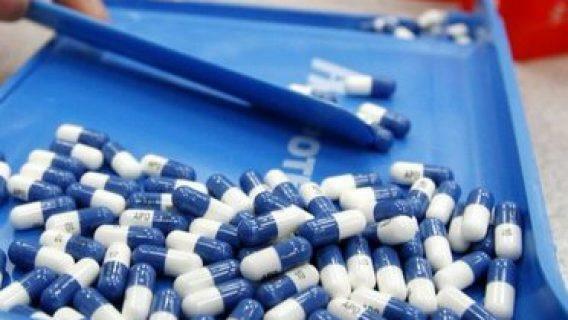 Xarelto, manufactured by Bayer and Johnson & Johnson-owned Janssen Pharmaceuticals, is estimated to be the 19th-best-selling drug in the world by 2018, according to the report. Worldwide sales of Xarelto are expected to jump from $596 million in 2012 to $3.7 billion in 2018. 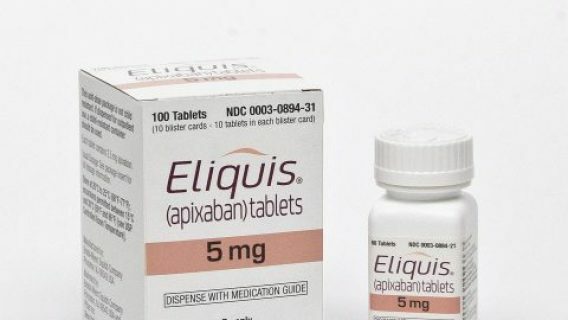 Meanwhile, global sales of the newer Eliquis, produced by Bristol-Myers Squibb and Pfizer, are expected to nearly double from $2 million in 2012 to $3.6 billion in 2018. Sales continue to soar in part because of new approved uses both in the United States and abroad. FiercePharma, a daily news site specializing in pharmaceutical coverage, credits blood thinner growth to recent actions in the U.K. The National Institute for Health and Care Excellence (NICE) – a non-governmental agency charged with developing guidance and quality standards in social care — recently cleared Xarelto for use in treating and preventing pulmonary embolism (PE) and acute deep vein thrombosis (DVT). The U.S. Food and Drug Administration (FDA) cleared the drug for these treatments in November 2012. 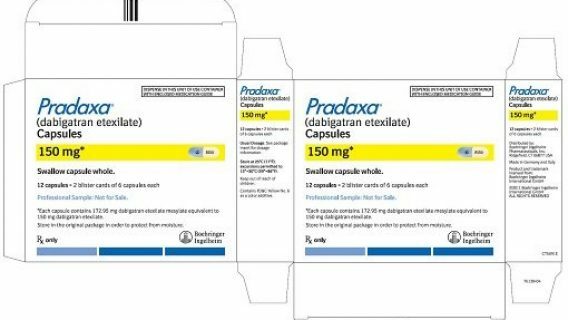 FiercePharma also links Pradaxa’s growth to European review of the drug for similar uses regarding pulmonary embolism and DVT. In the United States, Pradaxa, a Boehringer-Ingelheim product, is currently approved for treating (non-valvular) atrial fibrillation (AF). FDA approval for treatment for PE and DVT is pending approval. Based on the World Report data, recent approvals and current clinical trials, the new generation of blood thinners has a bright future. However, patients taking Xarelto or Pradaxa have reported serious complications. They also reported less serious side effects like stomach pain, indigestion, nausea, headache, muscle pain, and dizziness. Uncontrolled bleeding is one of the severest side effects of these drugs. When it occurs near a major organ, like the kidneys, brain or lungs, it interrupts blood flow to that organ, impairing its function. 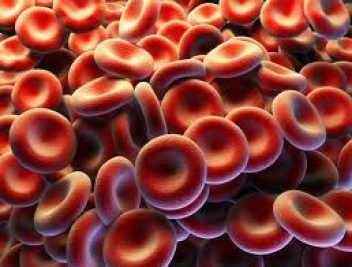 Blood pooling also can occur in the body — a bit of a catch-22, since the main purpose of these drugs is to prevent the formation of blood clots. Hemorrhages will continue until the drug leaves the body. 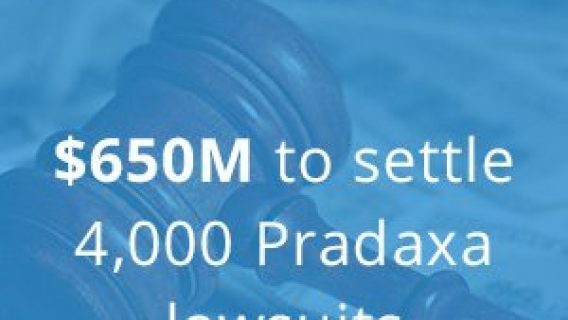 As of July 2013, there were 1,133 federal lawsuits filed by Pradaxa users. The manufacturers of Xarelto and Eliquis could face similar lawsuits. EvaluatePharma. (2013 June). World Preview 2013, Outlook to 2018: Returning to Growth.